New Delhi : Prime Minister Narendra Modi on Monday became the first recipient of the prestigious Philip Kotler Presidential award. 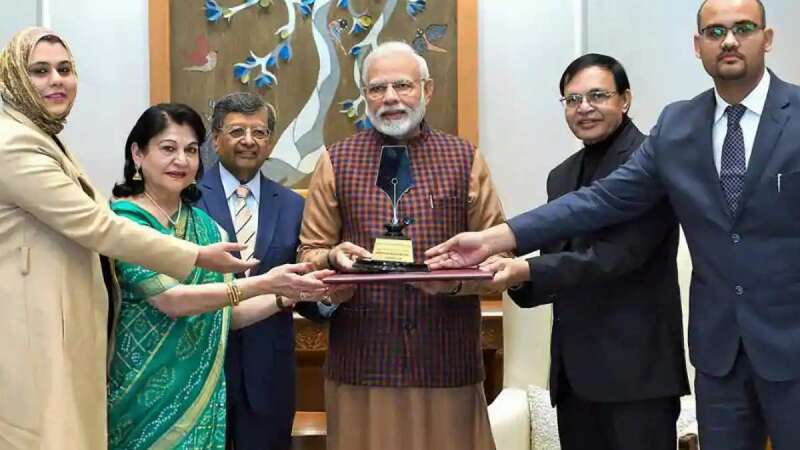 "The award focuses on the triple bottom-line of 'People, Profit and Planet' which will be offered annually to the leader of a nation," a Prime Minister's Office (PMO) statement said. The citation further added that under Modi's leadership, India is now identified as the centre for innovation and value added manufacturing (Make in India), as well as a global hub for professional services such as information technology, accounting and finance. The citation also mentions: "His visionary leadership has also resulted in the Digital Revolution (Digital India), including the Unique Identification Number, Aadhaar, for social benefits and financial inclusion. It is enabling entrepreneurship, ease of doing business, and creating a 21st century infrastructure for India."